Video links at bottom of page. So Durban’s no 1 Video Company was very busy filming the Shongweni Farmers Market in Kwa-Zulu Natal. 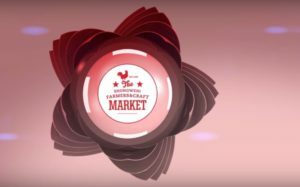 The video summarises the experience at the market, from the delicious food, fresh farm products to the home made products. The video is edited to Qadasi and Maqhinga music as well as has a few visuals of them performing to guests at the market. The filming happened over 2 Saturdays from 6:30 am till 11 am. Interviews were conducted with guests and store holders but the store holders were taken out during the edit as this could prove to be an unfair advantage for those storeholders that were interviewed. It was a bit of luck that out of 7 visitors interviewed at the market 2 families were from overseas. Have fun guys, see you soon.